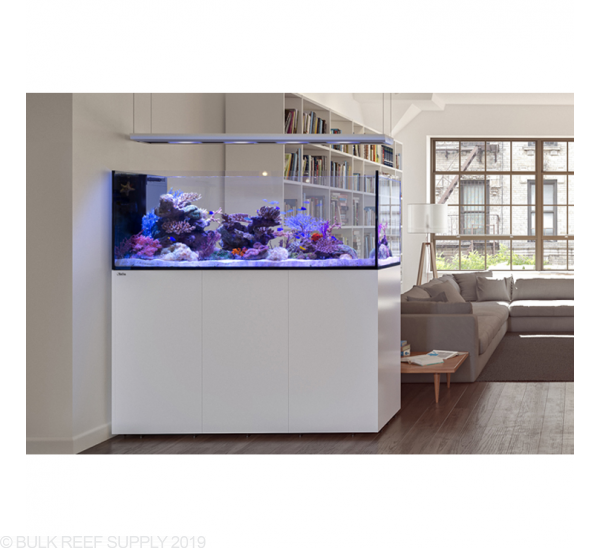 Red Sea Tanks do not ship today as stated above. Red Sea only drop ships tanks on Fridays and any order received by midnight CST on Wednesday will ship out directly from Red Sea on the following Friday. Red Sea Aquarium kits are drop ship items only. Due to their size, we are unable to have them on hand in our warehouse. All drop ship orders will be placed with BulkReefSupply.com will be submitted to the manufacturer within 2 business days of receiving the order. 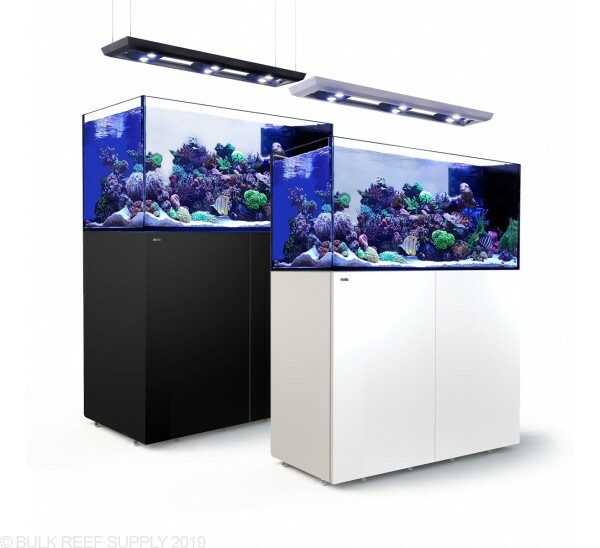 Red Sea Reefer tanks are going to be the best foundation for any reefer that wants custom filtration while having an elegant and professional looking reef aquarium with an included sump, stand, and plumbing. 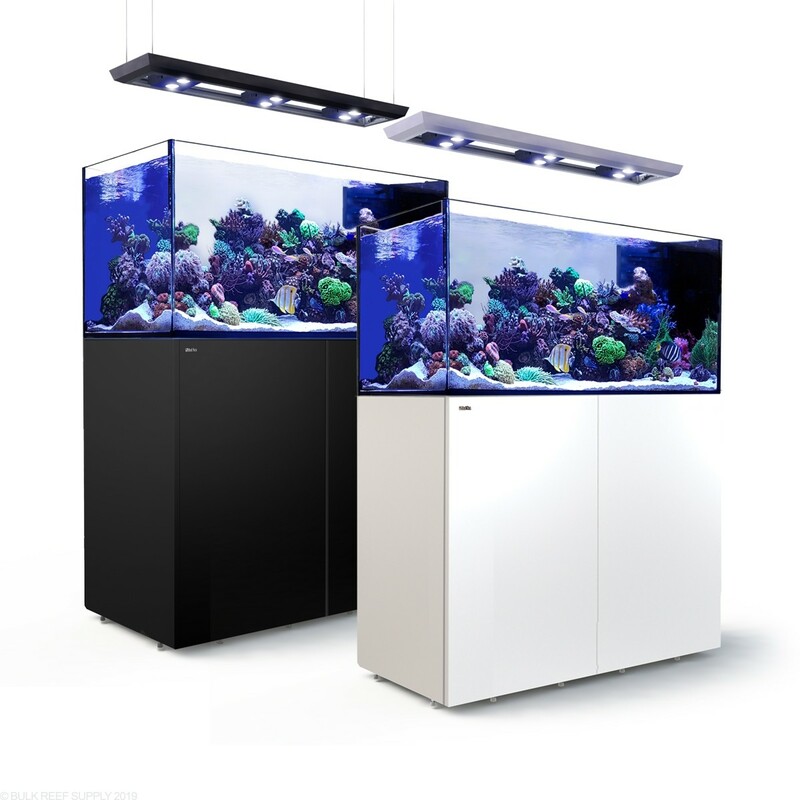 Peninsula aquariums are very similar to standard aquariums but instead of having a single large viewing panel the tank is turned 90 degrees giving you two large viewing panels and the overflow is placed along the short back wall. 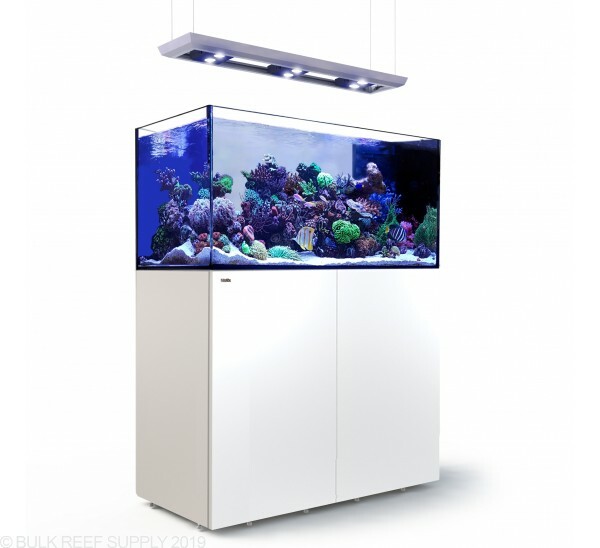 Peninsula tanks can be used in many different settings around a home or business! Going from the top of the Reefer Peninsula systems down to the bottom, the first thing you will notice is the crystal clear glass and elegant beveled edges. 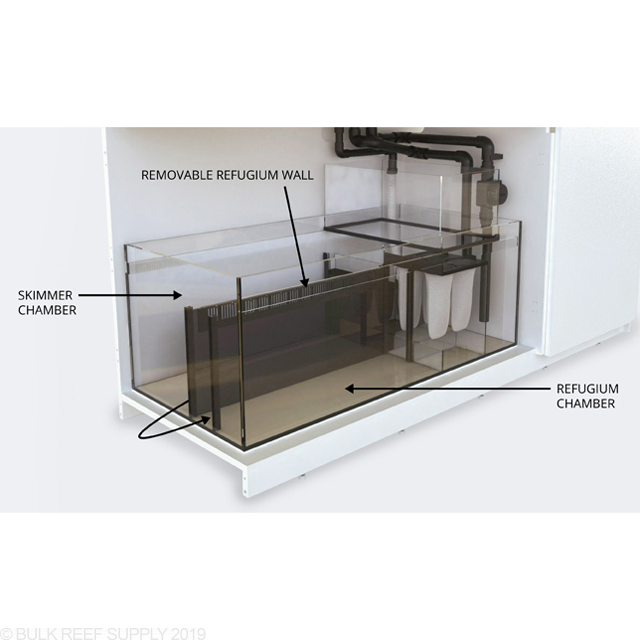 The second thing you may or may not notice is the slim overflow that is now placed on the side panel that houses all the drain and return plumbing to keep the water a constant level within the display tank and surface skimming while being super quiet and taking up a very small amount of real estate inside of the tank. The return nozzle is fully adjustable for to direct the flow where you need it, and the dual drain system keeps overflows from happening like a single drain design may encounter. The dual drain design has one main drain that includes a diaphragm valve for easy tuning and adjustments. The other drain is completely open to flow directly down into the sump in the event that the main drain gets clogged. 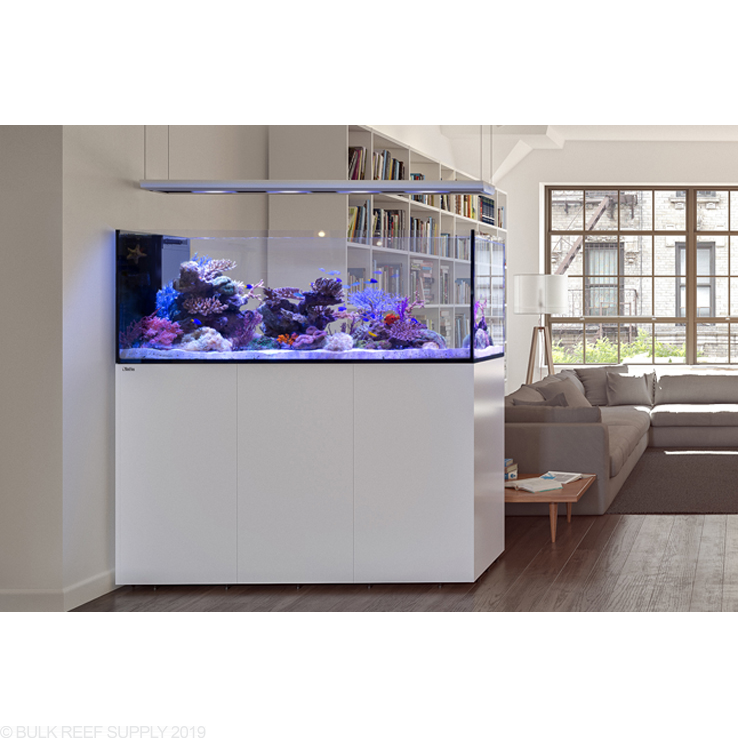 If plumbing is one of the reasons why you have never wanted to install a tank with a sump don’t worry as Red Sea has done all the planning for you and there is no gluing needed to assemble and seal all the plumbing. 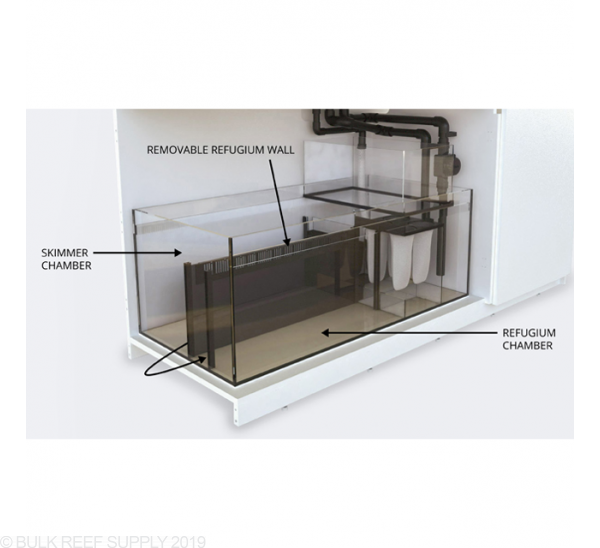 If you have a personal preference for the skimmer you want to run, lighting system, return pump, media reactors, or any other additional hardware the Reefer aquarium system is for you. 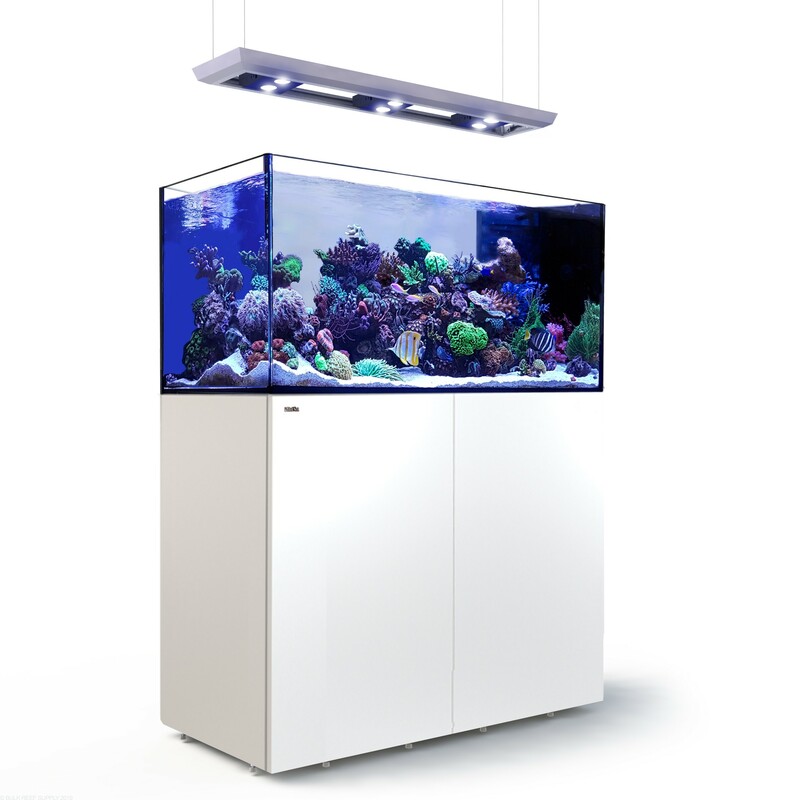 With ultra-clear rimless, beveled glass and a marine spec cabinet that follows the contour of the tank down to the floor. All of the reefer systems include a properly sized sump, all the necessary plumbing, integrated auto top off system, and reservoir. Each peninsula tank comes with a custom mounting system for the Hydra TwentySix LED lights that can be suspended from your ceiling. We bought the white cabinet deluxe model. It looks flat out amazing. Another review on here called it a bait and switch with the interior of the cabinet being black, but I'm personally glad it's black. 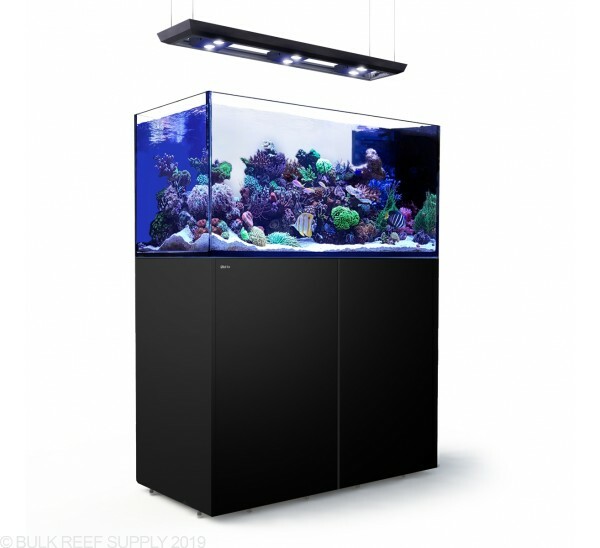 I use a Kassil H380 as a refugium light and i don't want it reflecting too much. The Black interior helps with that. Besides, with the cabinet closed you can't see any black anyway. By no means is that a reason to not buy this tank or give it a negative review in my opinion. It's ridiculous that Red Sea charges more money for a white cabinet and delivers this absurd, two-toned black/white version instead. They offered no help whatsoever and said that they began making cabinet interiors black because of "consumer demand" (i.e. people who enjoy fighting with their wives because of this hobby). The sump side bottom door hinge prevents one from installing/removing the sump unless you detach it, which is an annoying design flaw and also explains why there aren't doors on both sides of the cabinet.